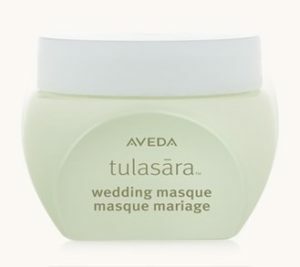 We are thrilled to tell you about the Tulasāra Wedding Masque, a new product in Aveda’s Tulasāra line that was released January first. 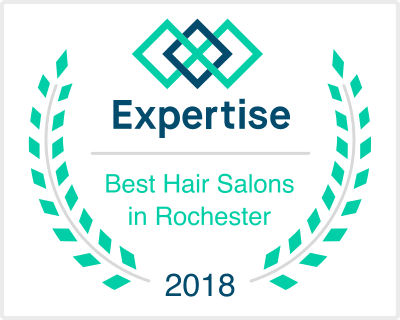 You can also find it on the shelves at our salon Tru on Park in Rochester, NY. Why is it called Tulasāra and where does the idea come from? Tulasāra means “moving toward balance” in Sanskrit, something that we all strive for whether it be on our face or in our psyche. Tulasāra Wedding Masque is an easy way to get your skin glowing like a goddess on her wedding day. Tulasāra Wedding Masque is an ultra-rich creme masque inspired by an Indian custom called a Haldi ceremony. 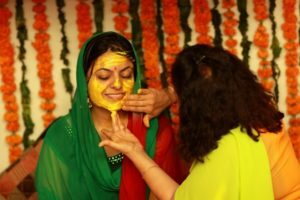 The Haldi ceremony is a pre-wedding tradition in which the bride and groom are met with hundreds of friends and family members who gather to apply a homemade Haldi paste to their face, hands, and feet- which stays overnight giving the bride and groom a luminous and healthy glow to wake up with. This beautiful tradition uses family and community to help the bride and groom feel confident and radiant when they awaken. Haldi is the Indian word for Turmeric. Turmeric is used in Indian Ayurvedic and Chinese medicine and has been recognized for its unique properties when used topically. Turmeric can help with dry skin, circles under your eyes, brightness, firmness, and can even skin tone. Thus making it the perfect ingredient for Tulasāra Wedding Masque. The awesome thing about this masque is that although it contains turmeric it’s a light cream color with a beautiful scent made from certified organic jasmine, chamomile, grapefruit and other pure flower and plant essences. These attributes make it a soothing cream that won’t ruin your pillow case when you leave it on overnight, giving the powerful blend of plant stem cells and organic apricot seed oil the chance to work its magic during the skin’s natural repair processes that happen while you dream. Tulasāra Wedding Masque also helps to create firmer, more lifted looking skin over time.